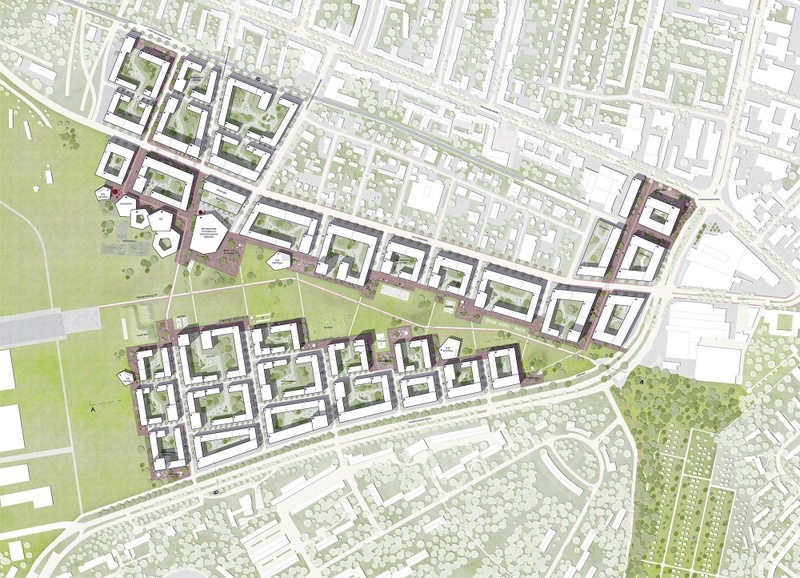 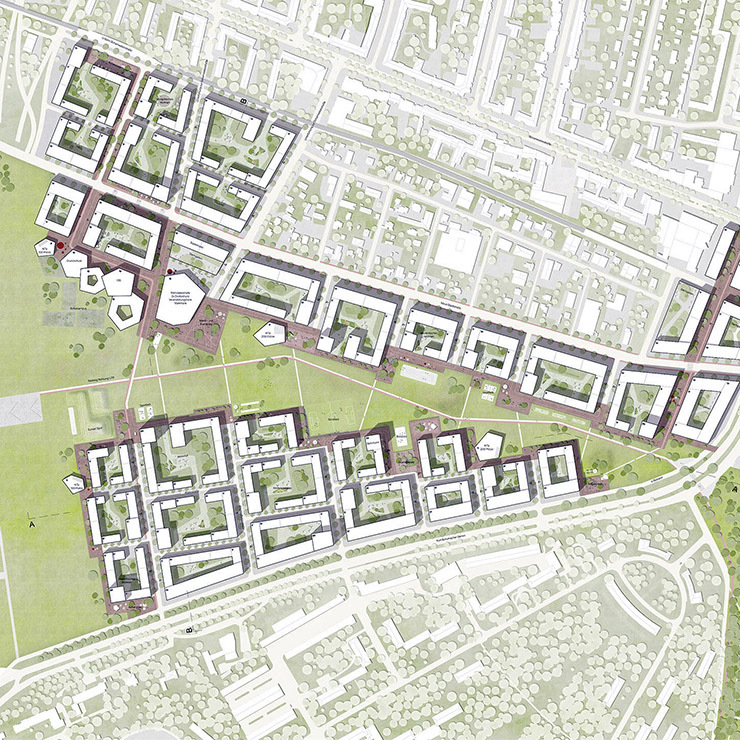 The impressive wide heath landscape of Tegel forms the identity-creating heart of the new district. It is "wide, open, wild and free". 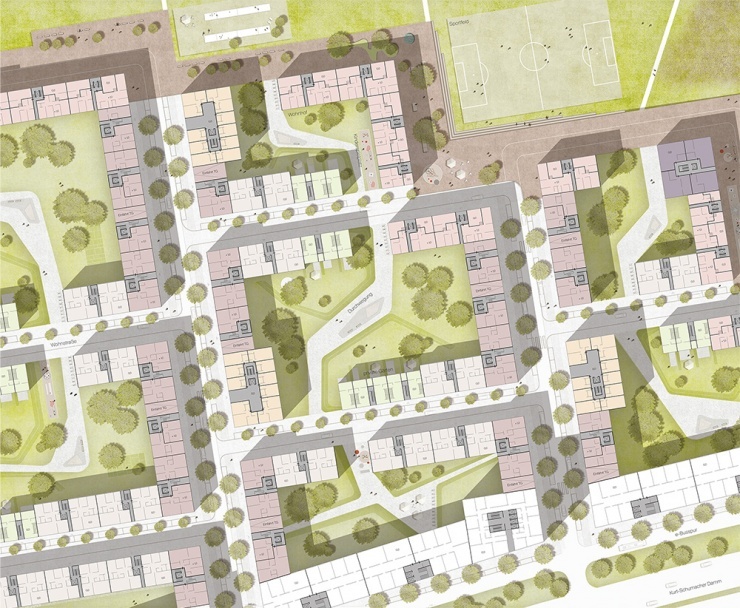 This landscape is shaped by a vivid seam, that maximizes the contact surface to the landscape. 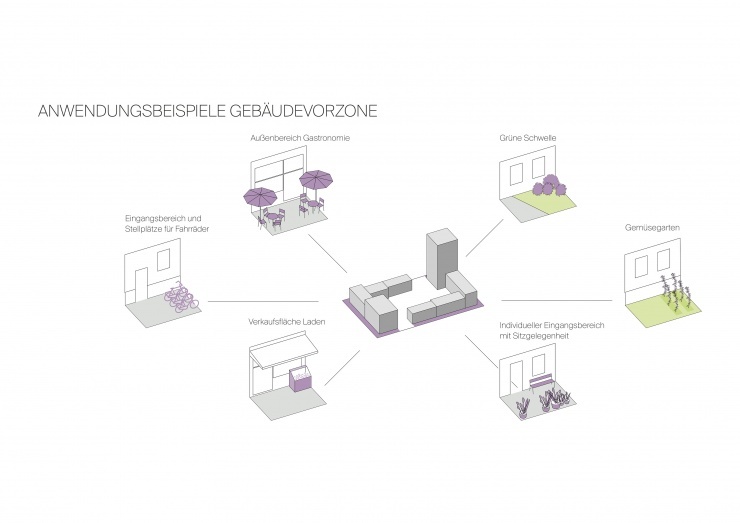 Schools, kindergardens and public squares activate this space. Here one can play, learn, rest and socialize. 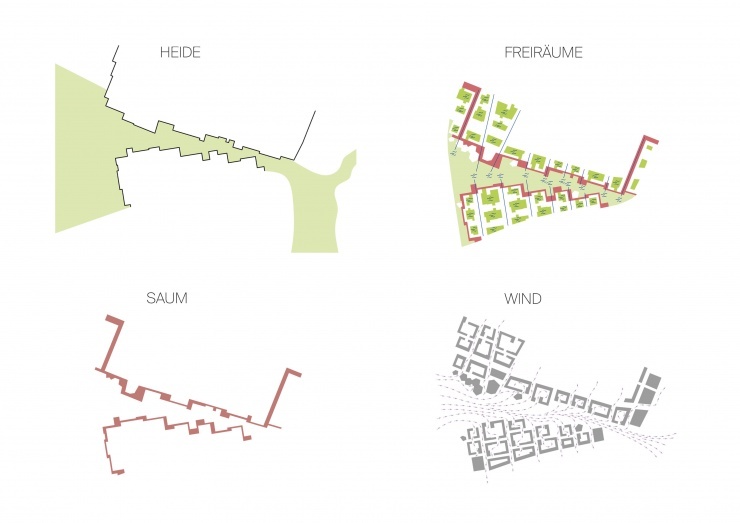 A variety of building typologies characterizes the district and offers a great diversity of programs. Residential buildings increase towards the seam, while offices and retail are more likely to be found at the well accessible edges. 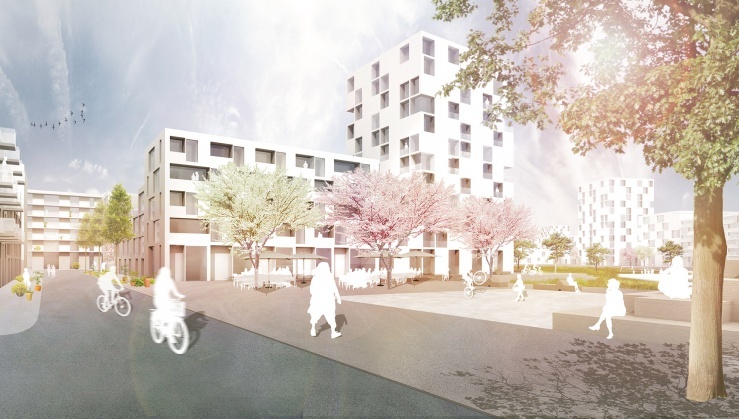 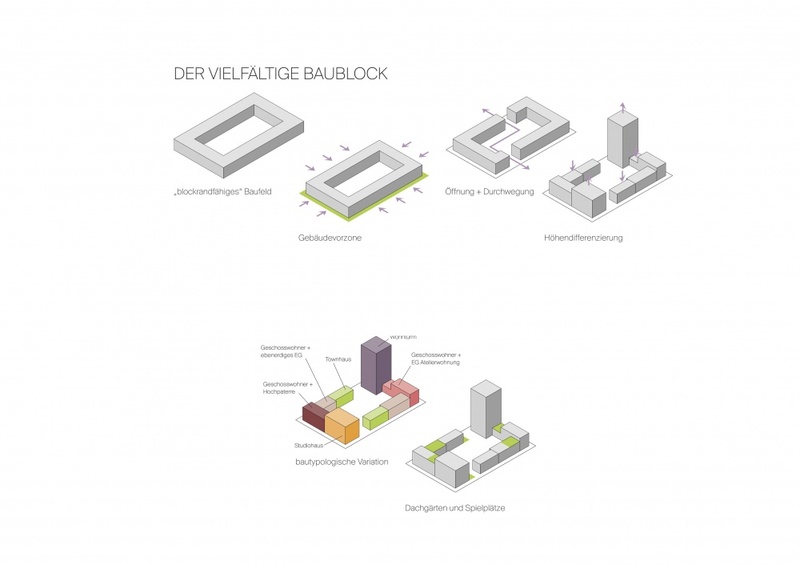 In Tegel one can find bigger and smaller buildings with panoramic views or gardens, intimacy or openness.